Following on from Alex Williams’ excellent article in TechCrunch this blog envisions the future of machine-to-person interaction in what is becoming known as the frontier of Web 3.0. Given that public-access kiosk software is one of our most popular products here at Genkiosk, our team is always keen to find out more. 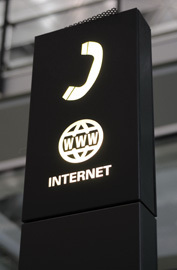 Internet as we know is has an interesting history and we have followed its evolution with interest. The most exciting thing though is the future of the Internet and its a subject very close to our heart. How the current economic climate is affecting the financial services sector and bringing alternative styles of banking to the fore. 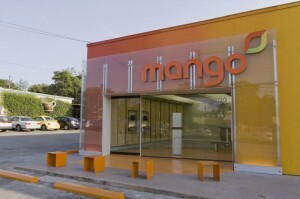 Introducing Mango Financial, a Texas-based start-up; take a look at their new shop front! James Oladujoye, CEO of GWD Media, gives his thoughts on how kiosk software providers can help their customers overcome the Big Data challenge. Now, I’m certainly not renowned for being much of a prophet, but airports are one area in which I’m confident of seeing some big changes fairly soon. Let me take you through a couple of my predictions, where we let go of our preconceptions and are open to a whole new way of thinking. High street retailers are having a tough time. With global recession looming, the outlook does not look great for even the giants of the retail industry. The financial chaos we’ve experienced over the last few years has put an end to many of the big names. 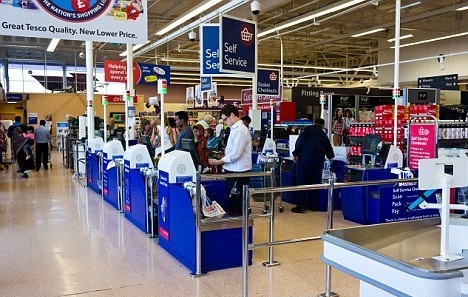 It come as no surprise then that traditional manned tills are being replaced by self-service retail kiosks. Walking into my local convenience store this week I even noticed that the self-service checkouts now outnumber the manned stations. Our now daily interaction with modern gadgets such as smart-phones and tablets is ensuring touch screens are rapidly becoming an everyday part of life. This mainstream use is driving improvements both in hardware and software. The innovative applications taking advantage of multi touch hardware used by Apple and Android is increasing the demand for touch enabled products. Touch screen kiosk software has been for a while now widely used in devices in shopping and retail areas, airport check-ins , queue busting ticket machines and in cinemas and transport stations. Users will expect that any device with a screen is touch enabled. What does this mean for Touch Screen Kiosk Software? 2012 is going to be an exciting year, especially in the self service sector where low overheads offer a range of opportunities. I’m not saying it’s guaranteed recession-proof, but use of kiosks certainly makes good sense especially in organisations that are not able to recruit additional frontline staff. Although you can’t completely replace an actual person, efficient use of a kiosk estate is a great way to ensure that products and services are delivered to the consistent standard that consumers demand.